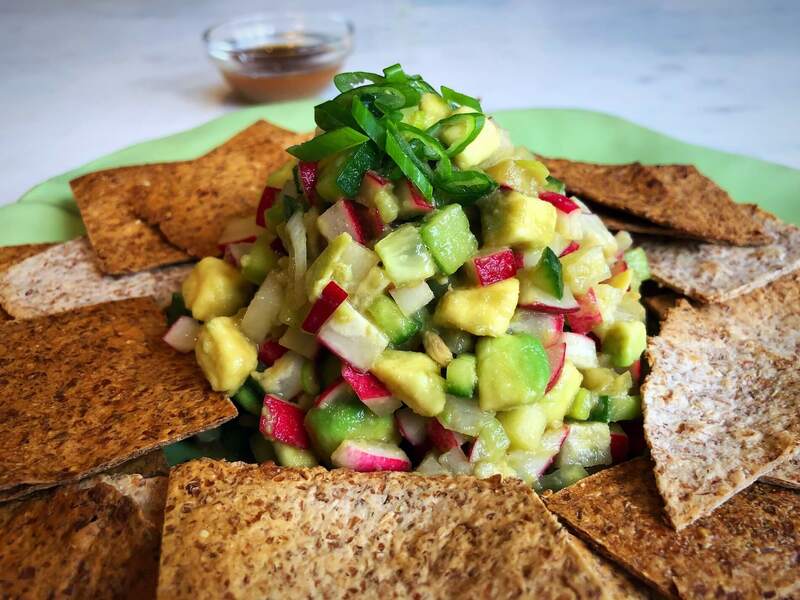 In a bowl, combine the diced radishes, cucumber, avocado, and scallions. In a small bowl mix together the lemon zest, lemon juice, and low salt Tamari. In a separate small bowl, place 1 TB of wasabi powder and mix with 1 tsp water to make a paste, and add to lemon/tamari mixture. Blend until smooth. Drizzle over salsa and mound into a beautiful bowl. Serve with baked Ezekiel 4:9 sprouted tortillas, or endive spears. I’m enthusiastic, bubbly, and I love to laugh. I’m small in stature, but I think big and I’m your cheerleader for healthy living. SIGN UP FOR A WEEKLY DOSE OF EYDIE! 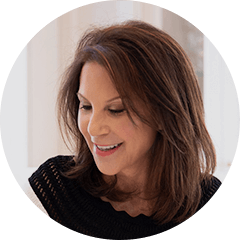 Get Eydie’s recipes, rec’s, and more sent straight to your inbox! Our site will occasionally contain (paid) links to, and quotation of, material from other sites. Garden of Eydie is not responsible for the content or the privacy practices of other sites and expressly disclaims any liability arising out of such content or practices. Under no circumstances does Garden of Eydie accept responsibility for, nor shall Garden of Eydie be liable for any damages or detriment arising out of content, practices, or other media of third party links. This site is not a substitute for professional medical advice. Although scientifically accurate and evidence-based, all information, materials and data available through this site are for general informational and educational purposes only. Please contact and consult with your primary care physician if you have any questions about your specific medical condition, or if you need medical assistance. Sign up for a weekly dose of Eydie here.